Bezel set stone silver necklace with freshwater pearls as a wonderful accent. 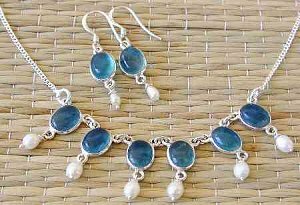 Shown in Apatite with matching earring E140 (sold separately). Also available in Black Onyx.